The most visually stunning Croatian city, Dubrovnik, is a masterpiece that some have argued is comparable to the Mona Lisa. In the warmer half of the year the city is an active beehive, buzzing with tourists – most of them arriving to town on large cruise ships – and the only tourists that are truly able to completely capture the timeless beauty of this Adriatic pearl are those lucky enough to visit the city by boat. Although Dubrovnik has been enjoying popularity with tourists for quite some time, mostly due to the spectacle of its impressive walls, that part of the country is still poorly connected with the rest, making it fairly difficult for most to reach it. There is only one large marina in the area – ACI marina Komolac – as a result, private leisure yachts are still somewhat of a rare sight in these waters. If you do make it over there, you will find the waters around Dubrovnik and Cavtat delightfully vacant. The Komolac marina is among the most beautiful in the country, located at the mouth of the river Ombla, a mere six kilometers from downtown Dubrovnik. 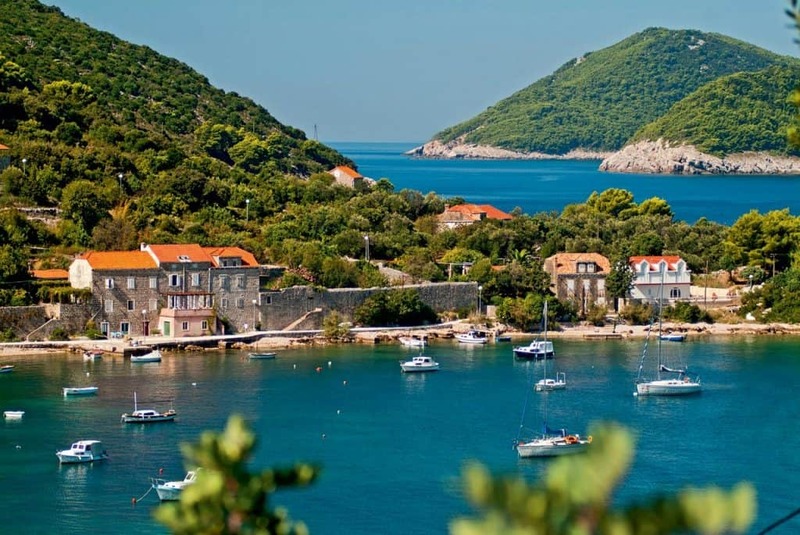 Some time next year, a second marina will open for business near Dubrovnik – the glamorous Frapa Dubrovnik marina. This new yachting hub is sprouting fast in the heart of Gruž bay and will be ready to welcome yachts up to 40 meters in length in less than a year, becoming a great addition to the amenities of the city and its surroundings. The third and also new marina in the region is marina Slano, smaller than Komolac and located in the deep-set Slano cove, which has single-handedly established tourism in the waters of Slano. The marina opened for business last year and is a most important economic factor for the once war-ravaged Slano. It is understandably popular among yachts, but despite its popularity, the area still boasts a relaxed, untouched charm. 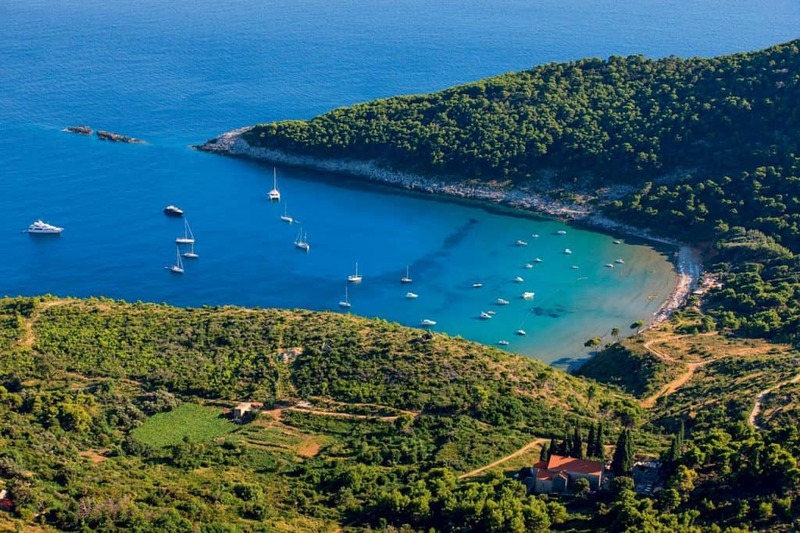 After leaving Dubrovnik – if the sea is calm and northern or southern winds aren’t meddling with your plans – set sail for the southernmost town in Croatia, Cavtat. This lively, small, typically Mediterranean town is surrounded by lush pine forests and has probably the most picturesque promenade in the Adriatic – a long stretch of stone lined with houses built in a unique, mixed style reminiscent of both Dubrovnik Republic and the idiosyncratic styles of their builders, mostly ship captains that have traveled the world and have taken their inspiration from far away lands. 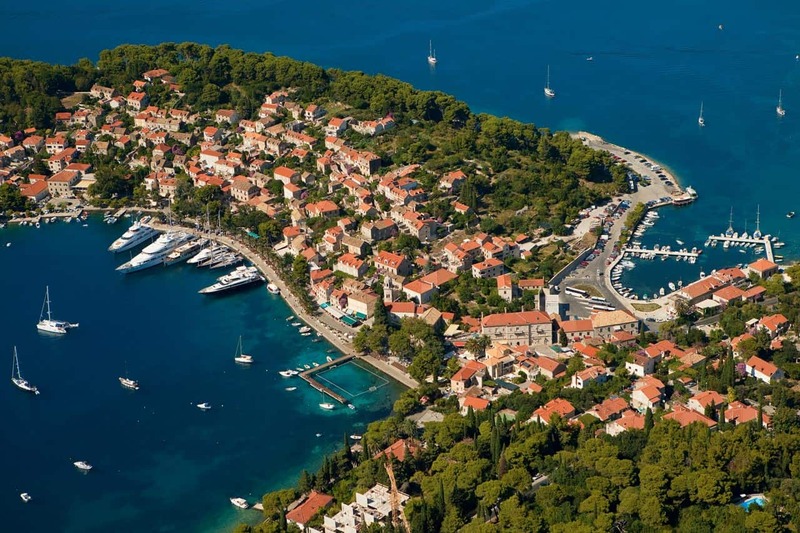 Decent proximity of an airport make Cavtat an ideal starting and ending point of round-trip cruises and many glamorous mega-yachts and their jet-setting owners are found relaxing in this small town during summer months. The town is well protected from all winds. We advise dropping anchor in Tiha cove or in the town port, somewhat more to the west – but beware of crowds, as the town port and its seasonal customs office are popular among those traveling to nearby Montenegro. If you haven’t noticed gigantic cruisers on your way into these waters, you surely won’t miss them on your way out: the Dubrovnik triangle – whose points are the old port of Dubrovnik, Lokrum and the hotel Excelsior – is extremely popular all summer long. Lokrum, the small island-nature reserve famous for gardens and forests, is visible from almost everywhere in Dubrovnik and the Dubrovnik locals consider it their private little oasis. A most popular destination for day trips and swimming marathons, Lokrum is known as the island of legends and the island of love, but yachts will find its most interesting feature isn’t this romantic element: the island serves as natural breakwater, protecting the city and its waters. Lokrum is only accessible via Portoč cove, with daily fee. Very popular among day cruisers and tourist boats, Lokrum isn’t a favourite among the yachting crowd, as there are no safe anchorages anywhere around the island and there are too many regulations governing sailing of leisure yachts in these waters. In bad weather, don’t even think about sailing in the vicinity of Lokrum. Instead, turn your bow north, toward the well-protected Koločep channel. The channel itself isn’t exactly protected from the wind, but the waves are almost non-existent, as they all break well before reaching it – crashing against the shores of the islands of the Elaphites archipelago. The elaphites are and have always been a peaceful haven of these waters. Once a favourite summer spot of the Dubrovnik upper class, the archipelago is only growing in popularity, with many locals escaping the city heat to the respite of the islands. Only the three largest islands are inhabited – Koločep, Lopud and Šipan. These three spots on the blue Adriatic have a lot in common, yet differ in many ways, as well. On all three islands ports are located on the north-western side, with smaller coastal towns and villages north-east. All the islands are lush and green, dotted with summer palaces of the wealthy Dubrovnik folk, some of them centuries old. 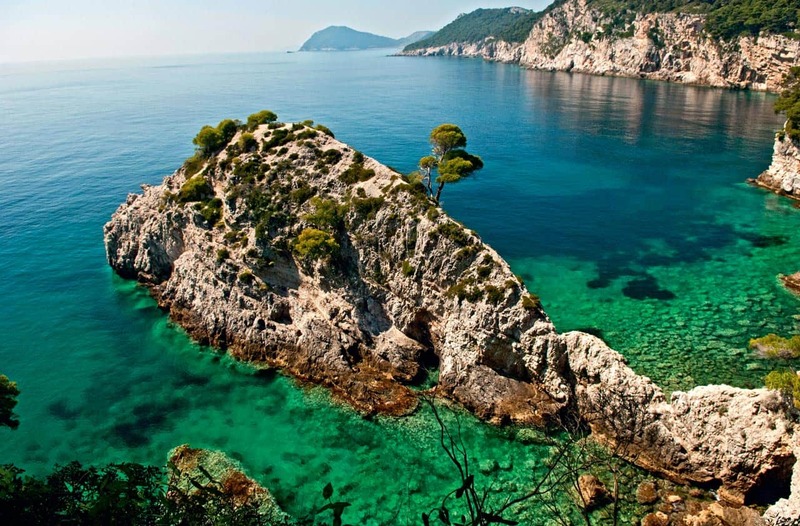 The closest to coast is the smallest island of Koločep – which also happens to be the least popular among yachts. There are two villages on the island, Gornje and Donje Čelo (Upper and Lower Čelo), named for their relative position toward the sun – Upper Čelo is on the eastern side of the island (the sun going up from there), and Lower Čelo on the western (the sun going down behind it). Both villages are fronted by lovely coves and have pleasant enough beaches, somewhat disturbed by large waves created by numerous tourist boats. Lower Čelo cove is located on the western side of the island of Koločep and is well protected from southern winds, yet completely unprotected from the mistral. The northern part of the cove is the loveliest: drop anchor in front of the large pier and enjoy a view of the ragged rocks, turquoise waters, cypress woods, palm trees and the village. The isle of Lopud is considered to be the prettiest in the archipelago and is the most tame of them all. The harmony of the nature and man-made give the island a special atmosphere. There aren’t many moorings along the coast, so the island is popular among those not afraid to drop their anchor farther from it – while others are deterred by a sometimes strong mistral. Šunj cove on the south-eastern side of Lopud is protected from most winds, only with a determined southern wind does it become dangerous. South winds are also responsible for the many underwater sand banks making approach to the coast a risky feat. Still, that beach is probably the best known and most beloved beach in the entire Dubrovnik region and has recently seen the opening of an already popular beach bar. During day the cove is swarming with swimmers, sun worshipers and boats big and small. However, as the sun starts to retreat for the evening, it magically transforms into a peaceful haven, making one daydream about buying a nearby villa to enjoy the golden years in this heavenly corner of the world. The cove is also popular with foodies, who can count on parking sports near all the restaurants on the shore. The cove is deep set and safe, whether you choose to moor here or drop anchor a little further from the shore, but beware during westerly or south-westerly winds. On the island of Šipan, the small fishing village of Suđurad – an actual fishing village, where most of the seafood sold in Dubrovnik is caught – is an excellent place for people-watching. The well-protected cove is safe in almost all conditions and boats can be moored ashore or at sea. Drop the anchor and relax watching the daily comings and goings on the water. The village is quite busy during the day, and visited by many tourist-carrying day boats. The island next to Šipan is the small and uninhabited Jakljan, a favorite among Robinson Crusoe types. The unwelcoming south-western side of Jakljan is not recommended, but the north-eastern side is safely approachable: drop the anchor and in the shade of pines bordering the water’s edge, enjoy the view of the almost-black green and midnight blue sea. The largest cove on the island is Veli Jakljan, mostly empty and visited only by the odd sailboat or two. Before returning to Dubrovnik, many yachts take a detour to visit the deep-set bay of Zaton. An intimate, secluded place ideal for those in search of privacy and peace, Zaton is a mere twenty minutes away by boat from the glitz and hubbub of Dubrovnik. The bay is mostly safe, with chilly – or cooling, if you came prepared – northern winds rushing down from the nearby hills, but still a very popular spot among yachts and even mega yachts.